Whoa! Two cards in one day! This is what happens when you get up at 3 am, lol! This is another card inspired from the online class that I am taking. This is also one of the cards that I will be teaching in my own card class at Scrapdoodles next month. I picked up several of Tim Holtz' new stencils yesterday when I was at work and used one on this card. 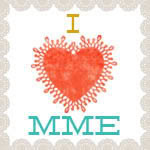 I loved Julie Ebersole's card and wanted to use some of my dylusions sprays. I used london blue and pure sunshine on this one. 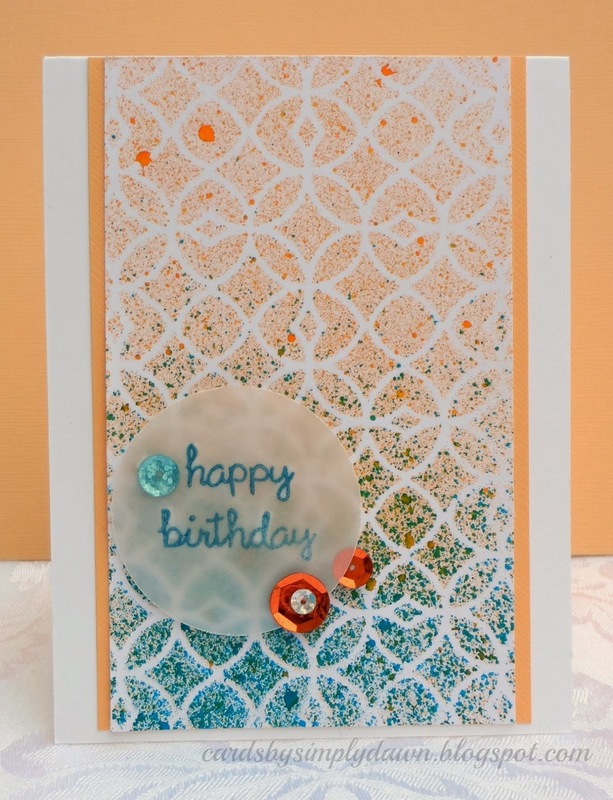 I also loved how Debbie Hughes embossed the sentiment on vellum for her card. I was a spraying fool this morning and now have TONS of panels sprayed with various color combinations using different stencils and then another pile with the ink sponged on. I love the different effects they create. The sentiment was stamped on vellum using memento luxe ink and then clear embossed, then I popped it up and added the sequins. This was another fun one to make and I hope the ladies that come to my class will have fun making it too! !